Republican National Committee chair Michael Steele has repeatedly snapped back at the charge and the notion that the GOP is racist, harbors racist elements, and plays the race card. Steele on occasion has loudly said that the RNC must embrace diversity, and be a big tent that includes minorities. Every time he opens his mouth to say these things he's called a liar. Those that call Steele a liar rattle off the litany of racist gaffes, slurs, and acts by GOP officials, politicians, and assorted GOP connected tea party leaders and activists to prove their point. Now they have one more thing they can add to the litany. That's RNC Steele's invite to rightwing smear machine engineman, Andrew Breitbart to appear at the RNC's three day confab in Los Angeles, August 12 to 14. It's billed as a rev up the troops, fundraiser, and called "Election Countdown." Brietbart's name is not buried among the GOP assorted luminaries scheduled to participate at the event. His name not only headlines the event, he and Steele will host the first night welcoming reception. His name even appears ahead of Steele's on the opening night reception announcement. So why is that? Is it Breitbart's name, fame, money, the controversy and curiosity he invariably arouses, the media attention he draws, his staunch GOP troublemaking credentials, and the fact that might be good for a few more bucks in the till that compels Steele and the RNC to make him the star of their show. It's all of the above. And this makes Breitbart an even more disgusting choice to headline a major event, by a major party, that claims it's poised to make major gains in the midterm elections, and chatters incessantly about even taking back the House. GOP Senators and House members and mainstream party officials have put up a hard front that even with its pile of no's to the Obama administration's initiatives and legislation it has still managed to maintain some degree of respectability among a wide body of conservative, and moderate GOP voters. It has even grabbed votes and support from centrist independents that question or oppose Obama and the Democrats' health care, stimulus, and tax proposals. Plopping Breitbart at the top of a major GOP event blows the party's façade of respectability to smithereens. Even before Breitbart's vile hatchet job on Shirley Sherrod, he had managed to parlay a name and turn his mini-on line empire, biggovernment.com, into the bible of muckraking and old fashioned dirty tricks cheerleading and agitation against Democrats, liberal and progressive activists and minorities. Despite full exposure of the Sherrod tape as a fraud and fabrication, Breitbart still kept the lying, doctored tape on his website. This is much more than the usual standard, garden variety GOP shouts and rants at Obama and Democrats on legitimate policy issues. Breitbart is a direct throwback to the Nixon, dirty tricks operatives and escapades of the early 1970s who brought shame and disgrace on the White House and the GOP. The party spent the next decade trying to rid itself of the stigma of being a party that condones dirt digging, rumor mongering, and even lawlessness as long as the target smeared was a Democrat. That's a history that Steele and the RNC will embrace and revel in if Breitbart headlines their show. Steele can prove that's not the case by rescinding the invitation. Will he? 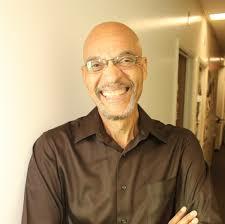 Earl Ofari Hutchinson is an author and political analyst. He hosts a nationally broadcast political affairs radio talk show on Pacifica and KTYM Radio Los Angeles.